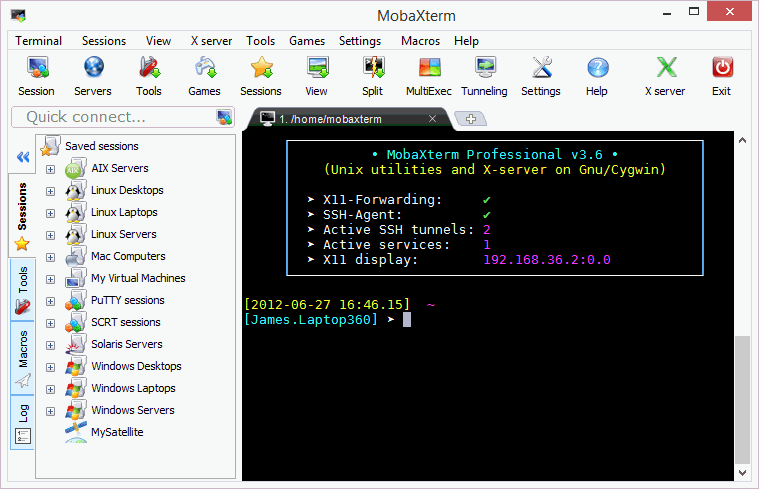 MobaXterm provides a basic set of Unix commands (GNU/Cygwin) in a single file. The program integrates an X server and some network clients such as SSH, telnet, rlogin, SFTP etc. accessible through a tabbed terminal. Stealth: ? Yes. Passwords are saved to the "ini" file by default (this can be a security risk if someone else has access to your USB drive). If you already have passwords in the registry, passwords will still be saved there. Tested and found to be running fine under winXP. Recommended. MPlayerGUI is a graphical frontend for MPlayer, a cross-platform media decoder that plays hundreds of different video and audio formats, including DVD and DivX, without additional codecs. It includes a visual equalizer to control brightness/contrast/hue/saturation, playlist and shuffling, right-click context menu etc. 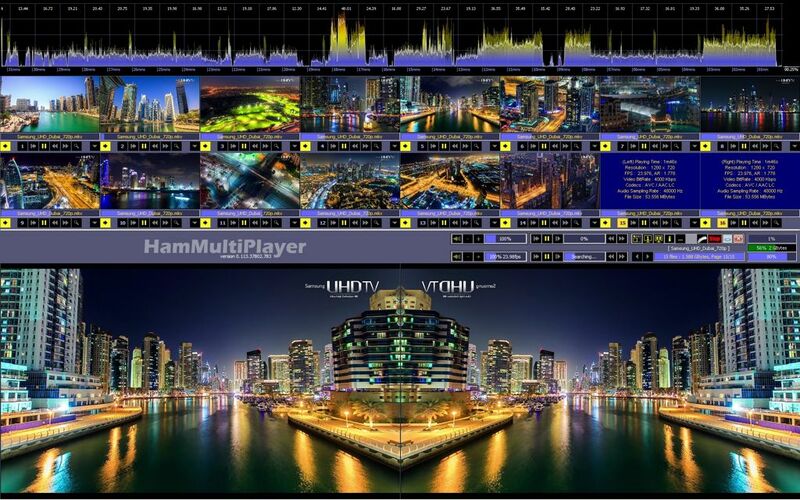 HamMultiPlayer displays one or more media files for analysis in real time. It can be used to find, move, delete or preview any video/audio file. The program can scan drives and directories, and then sort a generated list. Intended primarily to help videographers look through lots of footage, the program can also make it easy to find and eliminate duplicated or similar files. The program uses Mplayer and MediaInfo Library to decode and display files, playing everything Mplayer can play. Functional in 64-bit and supports multiple monitors. Stealth: ? No. Saves HMP.ini and HMP_Version.ini to the \AppData\Local\Temp\HAM folder and config file is saved to \AppData\Local\Temp\HAM\mplayer folder. How to extract: Download HamMultiPlayer.exe to a folder of your choice and launch. You wrote : "The author says the program doesn't write in other places that in his own folder." The only exception is when you select "SaveBeside" in prefs. In this case, prefs file is saved beside HamMultiPlayer (in same directory for reasons of portability). Portable means "no installation", not "without file writing". If nevertheless you see others files spread everywhere, please let me know and check that your version is the one coming from my web site. Sorry if I sounded hostile but the web says 'This is a "portable" software, this means that everything is already included inside the ".exe" (no installation, no registry keys, ...)'. Those three dots means etc. ; so, portable + etc means no writing beyond its own folder because that's what portable means: I can move the folder to other drive and keep the settings. But the problem, as you pointed, was that at first I didn't tick the "Save beside" checkbox. So, my suggestion after this would be to rename that box to a more common wording. But anyway, the blame is all mine. Sorry again. The program is very useful, by the way. @Kanu: Different sites have different definitions for portable but here "Stealth" is the term used when a program doesn't modify files outside of it's application folder (including the registry). HamMultiPlayer is not stealth but is portable. Please post in forums if you'd like to discuss further. TEncoder is a video and audio tool with conversion, DVD ripping and website downloading features. The converter includes the ability to select between multiple audio and subtitle tracks, extract audio/video content from a file, or edit subtitle and audio delays. Subtitles with same name as the video can be hard-coded into video. The download tool includes a variety of available formats, batch download capability, audio only downloads and on-completion conversion. Includes multi-threaded optimizations for simultaneous encoding and supports skins to change the program look and feel. Output video codecs include: MP1, MP2, Xvid, Mpeg4, H264, FLV, WMV, VP8 and more; audio codecs: MP3, WAV, Opus, OGG, AC3 and more. The program uses a variety of different open source tools including MEncoder, MPlayer, youtube-dl and FFMpeg. Alternatively, X-TEncoder is also available. How to extract: Download and install the self-extracting "portable version" to a folder of your choice. Launch TEncoder.exe. 2 problems-Izarc asked for a password after downloading had to use uni extract that worked.Program need 1024x768 ro fit wont work at 800x600,shame I really wanted to try this-cant use the higher res as my eyes are not so hot!